MMORPG stands for Massively Multiplayer Online Role Playing Games, and they are also known as RPGs or Role Playing Games. The genre is hugely popular and now, thanks to mobile devices, fans can play their favorite titles anywhere they are. If you have an iOS device and are looking for the best MMORPG game apps to enjoy while you are on the go (as long as you have an internet connection), or at home, you can check the options that we list below. These MMORPG titles will allow you to enjoy a thrilling gaming experience on your iPhone or iPad. Pocket Legends has been described as World of Warcraft in your pocket and it certainly offers an epic, magical gaming experience that will capture the attention from MMORPG fans. Pocket Legends is a fantastic game that features beautiful and mysterious landscapes, dragons and interesting characters, which abilities can be customized. Pcket Legends has become very popular and it allows you to play in PVP action or fast-paced Co-Op. You can be a fearless and powerful warrior, an Elf Enchantress with magical powers or a skillful Archer. Like other games in the list, Pocket Legends is available for free, although there are some in-app purchases available as well. Gameloft is a well-known name in the gaming industry and one of the best titles that it offers is Order & Chaos Online. This game is ideal for players who enjoy epic adventures as the game will take them through a fantastic journey through a unique world. You can play along thousands of people around the world. 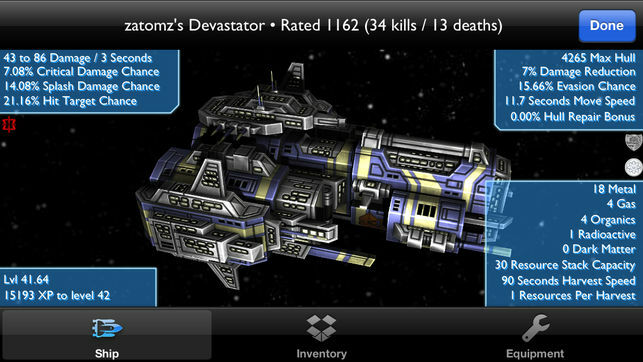 Order & Chaos Online offers incredible graphics that are better appreciated on iPhone. You can have fun customizing the characters, choosing a wide range of skills and abilities. One Thumb Mobile brings us an entertaining game that will be loved by fans of games like World of Warcraft. 3D MMO Celtic Heroes offers a great combination of magic, combat and adventure that can be enjoyed on your iPhone, iPad or iPod Touch. You can play challenge players from all over the world and experience unique quests and showing your heroic skills in epic battles. 3D MMO Celtic Heroes is an addictive game where you will battle ruthless enemies, but since you can chat in real time with other players and form clans, you will also make many friends. Created by Niantic, Ingress is an innovative gaming experience that turns the real world into the scenario where you play. This ground-breaking augmented reality MMORPG game is full of intrigue, mystery and competition. The world is a battlefield in which the future of humanity is at stake. A powerful and mysterious energy that could influence our thoughts has been discovered. One side is looking to embrace the power of this energy, while the other is fighting to protect humanity and avoid control. Which side will you choose? Spellbook Studio has certainly cast a powerful spell with this fascinating game that allows you to explore an ever expanding universe. The game has become very popular and thousands of players take part on the intergalactic battles and exploration missions supported in the game. There are thousands of weapons, engines and more to choose from. You can fight aliens, spy, hunt bounties, discover new places and chat with other players. The game is completely free to play and it doesn’t feature ads. This game by ASOBIMO is the favorite 3D MMORPG title for millions of players in Japan and its popularity is expanding around the world. RPG IRUNA Online offers an enchanting and immense 3D world where you can enjoy co-op play and real-time communication including chat like Online RPG for computer. The game stands out thanks to its beautiful graphics, intense battles and a vast world that is waiting to be explored. You can work along other players to defeat powerful monsters and enjoy the fantastic gameplay that RPG IRUNA Online offers. If you love Horror movies and feel particularly fascinated by vampires, this is the game for you. Dark Legends is a game by Spacetime Studios, a well-known company that is behind of the very successful Pocket Legends. In Dark Legends, you can be a vampire with powerful skills and a vast selection of weapons to defeat werewolves, warlocks and demons. This is a dark adventure in which you need to defend the Vampire Nation to avoid extinction and get victory over the enemies that attack your lineage. EGLS will captivate you with Armed Heroes, a game where you need to step up and be the hero that saves a land where darkness and evil are taking over. This amazing title allows you to enjoy amazing real-time 3D actions that can have a decisive impact on the game. You will need to defeat demons and monsters and with every level, you can evolve. It is possible to engage in clan vs clan combats. You can choose from four classes of characters with unique skills.